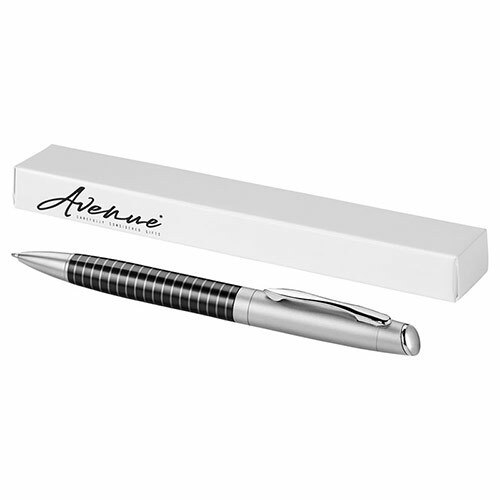 These Averell ballpoint pens offer quality at an exceptional price. 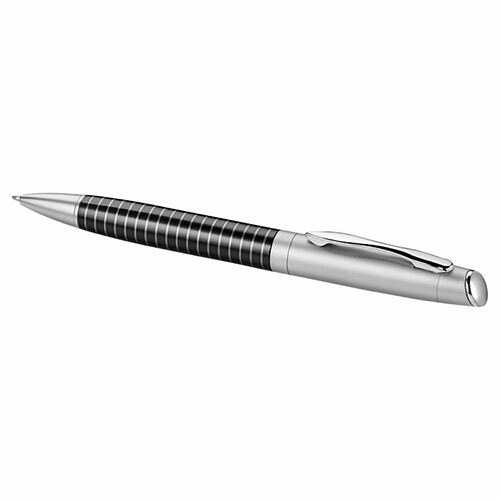 Crafted in metal, they feature a distinctive striped pattern on the barrel while the silver coloured bap offers space for engraving options. 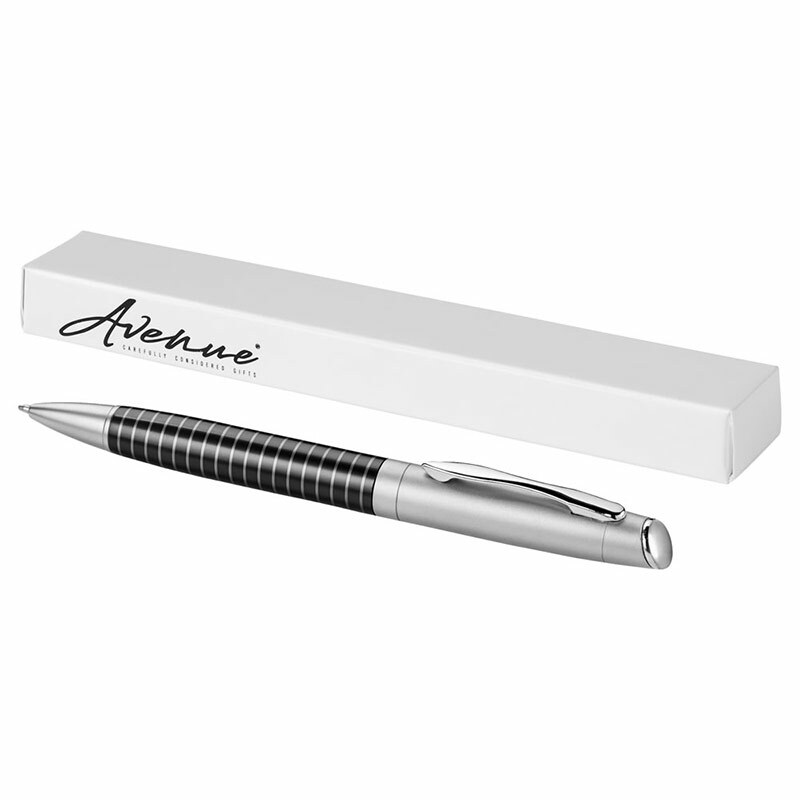 Each Averell ballpoint pen is supplied gift boxed. 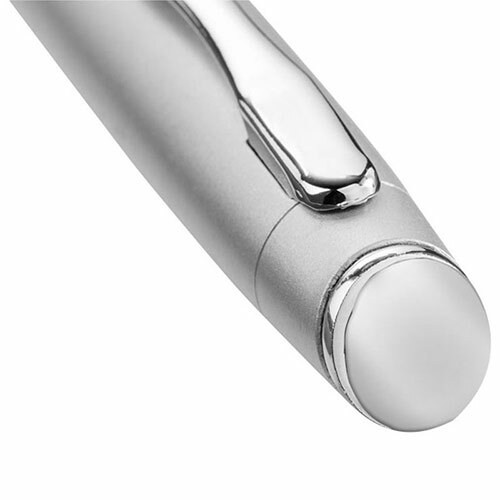 MOQ - Please note these pens have a minimum order of 15 units. Product size: 13.8cm long, 1.1cm diameter, 14g weight. Gift box size: 16cm x 2.5cm x 1.5cm.